A popular section among catering staff our hygiene rolls are perfect for kitchen use. Feel free to contact us directly for more help and assistance. 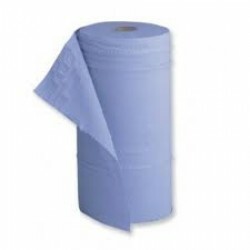 Produced in 2 ply White and Blue and a heavy duty 3 ply Blue, all rolls are perforated and edge.. Produced in 2 ply White and Blue and a heavy duty 3 ply Blue, all rolls are perforated and edge em..